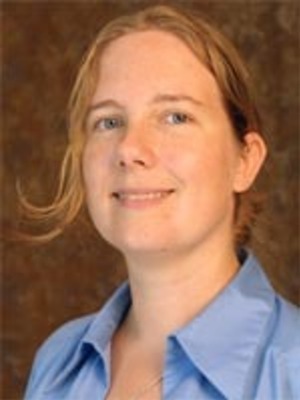 Kathryn Campbell-Kibler is an associate professor in the Department of Linguistics at The Ohio State University. She received her BA and MA in linguistics from the University of Chicago, and her PhD in linguistics from Stanford University. She works on sociolinguistic cognition, most recently focusing on how Ohioans think about language difference within Ohio and how OSU students change their speech when they come to college. With a group of PhD students, she has developed OhioSpeaks, an integrated research and teaching project using real sociolinguistic data to improve courses university-wide.